Wireless services have opened up avenues of communication and resources unlike any in history. We rely on these connections to stay in touch with friends and family members, operate businesses and communicate on a global scale. But providing these innovative services through networks of communication towers should not come at the cost of any worker’s life. The tower industry is small, with roughly 10,000 to 20,000 workers, but it can be incredibly dangerous: In 2014 alone, 12 tower workers were killed on the job and dozens were significantly injured. One of those workers was Chad Weller, a 21-year-old communication tower technician. In March 2014, Chad prepared to climb an icy, 17-story water tower where a broken antenna required his attention. Working alone, and in hazardous conditions, Chad donned the oversized personal protective equipment that he had been given and began his climb. When he arrived at the top of the tower, Chad slipped and fell to his death 180 feet below. 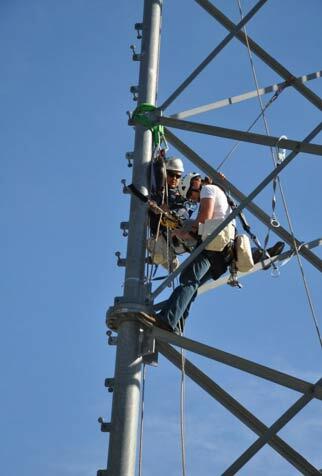 To reverse the alarming trends in tower climber deaths, the Occupational Safety and Health Administration and theFederal Communications Commission established a partnership in October 2014 with a focus on improving safety in this industry. Today we hosted our second workshop with telecommunications and tower industry leaders and worker advocates to discuss our shared commitment to keeping workers safe. Through this collaboration, we work to honor the legacy of climbers who were killed on the job by improving our efforts to make sure that no family has to experience the anguish of losing a loved one in a workplace fatality. We understand that technological innovation in the wireless industry is advancing at an amazing pace, and this means that there will always be towers that need work, and workers who will need to climb those towers. Our goal is not to hamper innovation, but to assist the industry in advancing safer practices so these new technologies can be deployed without the tragic loss of life that we have seen in the past.And together, our work appears to be having an impact. While one death is still too many, in 2015, the death toll dropped to three. The foundations of a safe worksite are safety training and smart workforce development. The Employment and Training Administration’s Tower Industry Registered Apprenticeship Program, or TIRAP, is an important effort to provide a comprehensive, standardized development program for new workers in the industry. Input from stakeholders gathered from all sectors of the industry ensures that TIRAP is comprehensive and rigorous, and that it truly prepares new workers to perform quality work in the safest manner possible. Tower climbers’ work takes them all over the country, from mountains and vast terrains to our busiest cities and urban areas, and the dangers they face are just as diverse. Through our collaboration, OSHA and the FCC will continue to work tirelessly to make sure that all tower workers − from the staff on the ground to the person hundreds or thousands of feet in the air wearing the harness − can return home safely at the end of their shift. Dr. David Michaels is the assistant secretary of labor for occupational safety and health at the US Department of Labor. 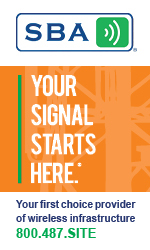 Roger Sherman is the chief of the Wireless Telecommunications Bureau, Federal Communications Commission.